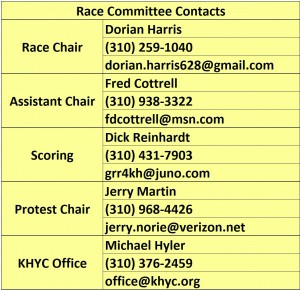 A race of approximately 22.1 NM using KHYC marks and race marks off of Marina del Rey. A US Nearshore event. RLC ratings will apply with TOT scoring.